Let me introduce you to Aunty Fox. 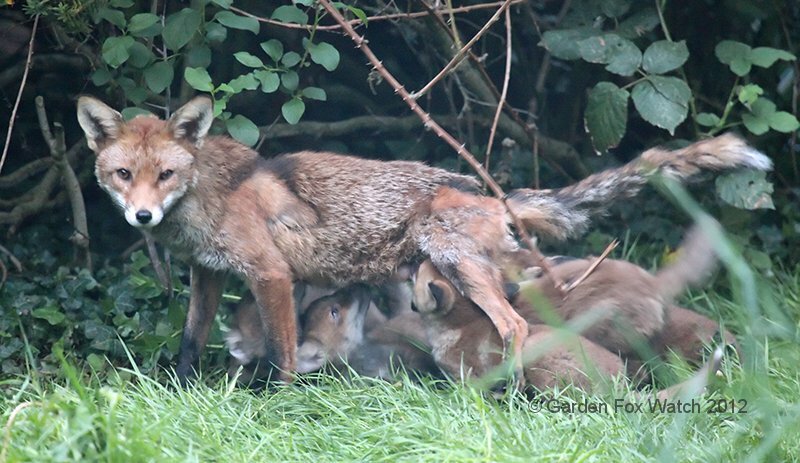 Aunty is the slightly smaller and, one might assume, younger female who has been helping Mrs Fox with the cubs. 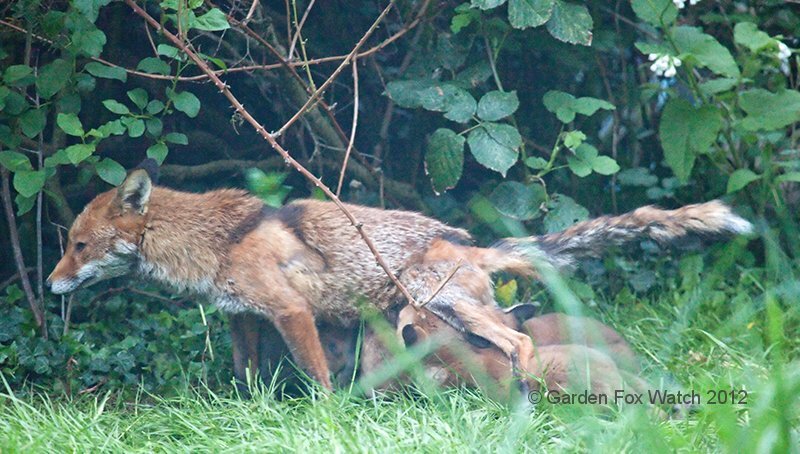 Before we started seeing the cubs in the garden, Mrs Fox and Aunty Fox had often been seen curled up together in the sunshine. 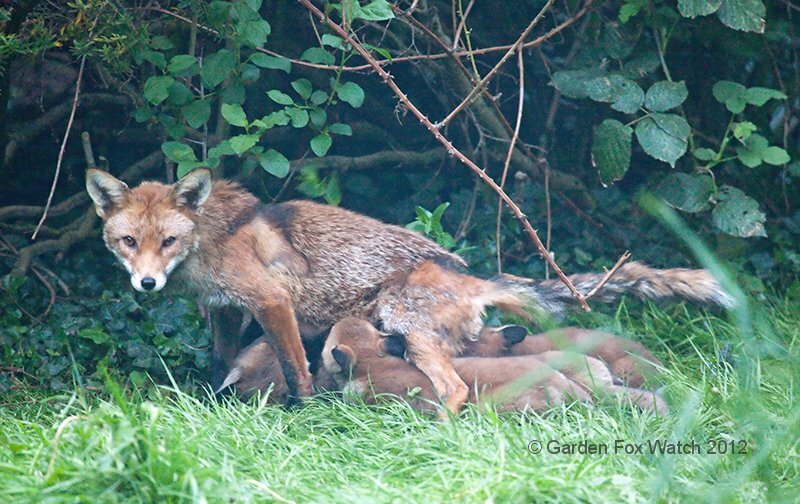 The gallery below shows the cubs attempting to suckle from Aunty. We really don’t know whether what we have here is two litters — one produced by Mrs and one produced by Aunty — who are being raised together, or whether all the cubs were produced by Mrs and Aunty is just a helper. 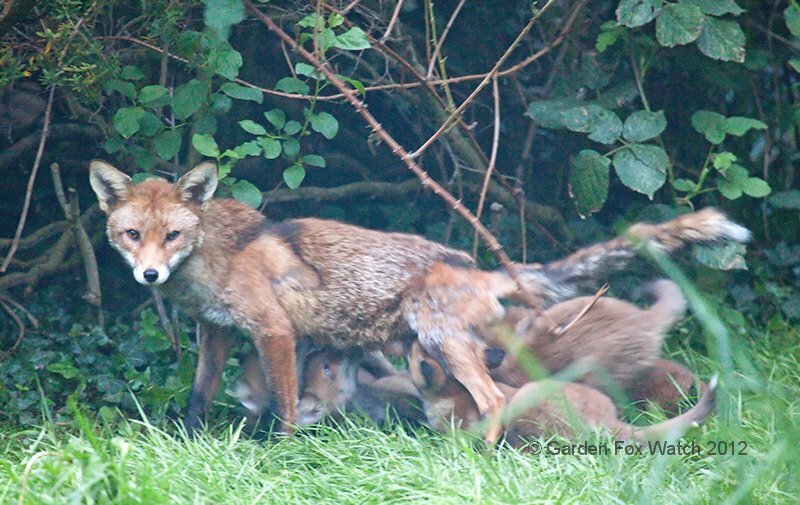 Most often, the helper foxes are offspring from previous years’ litters, but Aunty can’t be from last year’s group as both of those cubs were male. She didn’t seem to be around helping with last year’s litter… we just aren’t sure, and short of getting DNA samples from all concerned, we never will be!